Newer PostMy Practical Lazy Cook Recipes For Building Muscle! Warning: For those IronMagazine readers who are afraid of stretch marks, cannot afford to purchase a new wardrobe, or simply do not want to take up more space, please stop reading this article now! Just put the magazine down, slowly back away, grab the remote, and watch some Seinfeld reruns. “No soup for you!”However, for the rest of you…the one’s that live to grow…sit back with your favorite protein drink, get comfortable, and read my words, because I have a feeling that what follows may be of great interest to you! The wonderful thing about bodybuilding is, just like life, it is a constant and ongoing learning process. Nobody has all the answers, but if you keep your eyes (and mind) open wide enough, you will slowly but surely pick up more and more pieces of the puzzle. Several years ago, I introduced a training system to the bodybuilding world called Power, Rep Range, Shock, which I believe contains many of these essential pieces. 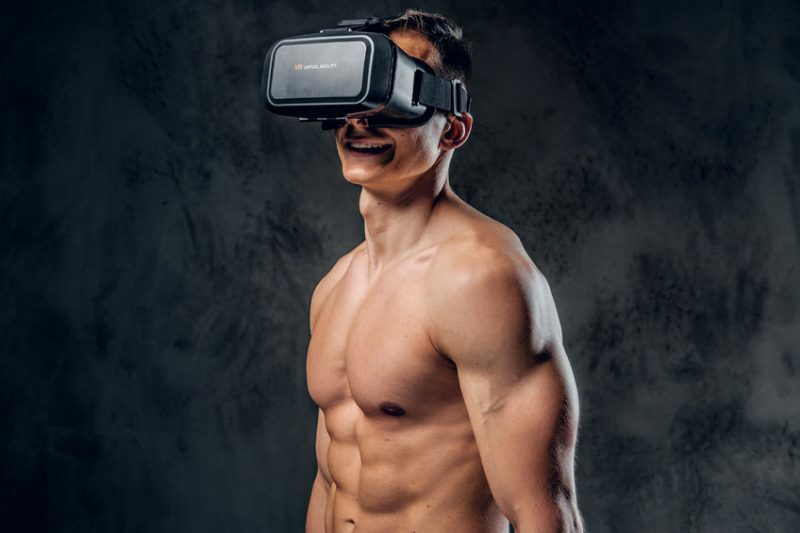 Most Iron Man readers are intimately familiar with my program, as I have written several articles about it right here in these pages, as well as on many sites all over the Internet. In addition, Steve Holeman and Jonathan Lawson have been utilizing P/RR/S in combination with X-Reps for the last several months, and writing about their experiences in the popular Train, Eat, Grow column. However, for those of you that might be new to Iron Man, and/or have not had the opportunity to read about my P/RR/S training program (what are you living under a rock? ), I think it is important for me to quickly go over the main points, as it is this original program that was the genesis for the material that lies ahead. For those of you that are already P/RR/S users, consider this a quick refresher course! Power, Rep Range, Shock is a cyclical approach to lifting weights in which you utilize a unique training protocol every week (in 3-week cycles), with the goal of tapping into all of the body’s various growth mechanisms. Each of the three weeks is meant to bring about a specific physiological effect, so that your body cannot adapt to any one form of training, which would eventually result in stagnation. P/RR/S addresses muscle growth from a variety of angles, and allows significant progress to take place on a very consistent, and long-term, basis. ***1-second hold at peak contraction for certain exercises (ex. Leg Extensions). Once you have completed the 3-week P/RR/S cycle, return to the beginning and repeat, with the intention of training more intensely on the following cycle. I suggest you use the same exercises for three straight cycles, and try to lift heavier weight and/or increase your reps at each workout. After three full P/RR/S cycles either take a complete week off from the gym, or at least train at low intensity for one week to allow for repair and recovery of joints, muscles, and the CNS. Upon returning to P/RR/S, feel free to switch some or all of the exercises, and prepare to push even harder through the next three cycles. Like I mentioned earlier, bodybuilding is a constant learning process, and a pursuit where complacency is not welcome (not under my watch!). Even though I knew I had hit upon something wonderful with P/RR/S training, I still took it upon myself to dig deeper. This led me to an advanced version of my program, which I presented to Iron Man readers in a 2006 article entitled, “Power, Rep Range, Shock 2. Variations and Advanced Techniques.” And while the protocols that I presented in that piece once again raised the bar on muscle growth, I have to admit I still remained unsatisfied and hungry for more! I suppose this relentless pursuit of better and more efficient ways to stimulate hypertrophy can be looked upon as somewhat compulsive, but long ago I decided to make it my life’s work to not only explore the outer limits of my own genetic potential, but to help as many others as possible do this as well. And here we are. So take a big breath, and put on some comfortable shoes, because I now invite you to take the next step! Before going forward I want to take a little time to discuss what muscle growth means and what is really happening when it occurs. Most often people relate hypertrophy to an increase in “protein synthesis,” or the production of new cellular proteins from amino acids. However, the process is far more complex than this, requiring an overwhelming cascade of physiological events to occur in a specific order, while dozens of bodily hormones and chemicals rush into action. To discuss all of this in depth would take the space of entire book, and likely bore you tears, so let’s skip to the meat and potatoes of this whole thing because I really don’t want any of you to fall asleep, or even worse, dehydrate (and besides, meat and potatoes are yummy). In order for muscle hypertrophy to occur, new cells (known as satellite cells) must fuse with existing muscle fibers. Normally these satellite cells are dormant, and sit “minding their own business” adjacent to muscle fiber sarcolemma. An intense weight-training workout can serve as a trigger for satellite cell activation, leading to the first stage of hypertrophy, known as proliferation. It is at this point that these cells will begin to divide and multiply, forming into myoblasts. The myoblasts then fuse with existing muscle fibers and donate their nuclei in a process called differentiation. Because muscle cells contain many nuclei, increasing their number allows the cell to regulate more cytoplasm, inducing more actin and myosin (the two main contractile proteins in skeletal muscle) to be produced. This increases overall cell size and protein content, leading to a larger muscle mass.So, in a nutshell, what bodybuilding comes down to is a continuous process of damage and repair, over and over. Hard weight training traumatizes our muscles, causing injury to the fibers, leading the body to respond by not only repairing the damage, but also making the muscle fibers bigger and stronger in the process (however, this is only if the body is given the proper rest and flooded with enough nutrients to do so). What this means to you is that if you are not training intensely enough to damage your muscle fibers, your body will never turn on the anabolic “machinery” necessary to force hypertrophy to take place. And, even if you do train hard enough, but don’t give your body the building blocks necessary (via food and supplements) to complete the repair and building process, you will continually take one step back, and one step forward…leaving you literally standing still. FD/FS stands for “Fiber Damage/Fiber Saturation,” and is a training method I have been working with and tweaking over the last 8 months, while looking to add some significant muscle mass to areas that I consider weak points. I should mention that in no way have I abandoned P/RR/S training, but have used FD/FS to greatly augment it. With FD/FS the workout is basically broken into 2 phases. In the first phase (fiber damage), the goal is to utilize training protocols known to cause significant micro-trauma in the muscle fibers. As I mentioned earlier, this is a necessary step to setting the growth process in motion. The techniques to be used in order to achieve this goal with the utmost precision are: 1) Heavy Weights, 2) Eccentric Emphasis, and 3) Stretch Under Tension. If you have ever performed a workout using any of these methods, you more than likely felt a good degree of soreness in the target muscles over the following days, which is indicative of the type fiber damage we are looking for. However, when all of these techniques are combined properly, you definitely will experience a whole new level of muscle pain, ache (the good kind!) and stiffness. Now that is all well and good, but remember, your body must be able to not only repair all of this damage, but also reinforce the muscle fibers by making them larger and stronger. Digging a whole is fine, as long as you not only refill the hole, but also pile some new dirt on top! Got it? This is where the second phase of the workout comes in (and where the magic happens)…fiber saturation. Once you have damaged the muscle fibers the goal is to now bathe them with as much nutrient/hormone-rich blood as humanly possible. That’s right, it’s time to chase the pump…big time! In other words, I don’t want you to wait to get home for the recovery process to begin. I want you to facilitate immediate repairs, and take advantage of the fact that during a workout (especially when high repetitions are involved) there is as much as five times the normal amount of blood flowing directly to the muscles than when at rest! In my experimentation with various FS protocols, I have found that what works best are: 1) Very High Repetitions, 2) Continuous Tension, and 3) Post Activation Supersets (compound movement followed by isolation movement). The goal when performing FS sets is to use a “piston-like” tempo, where the weight is almost constantly moving. There is no time for “stretch and squeeze,” as all we wish to do is force so much blood into the target muscle that it feels like it may burst! The muscle has already undergone the trauma necessary during FD, and now it is time to nourish it! In order for FD/FS training to work to its potential, there is also a nutritional protocol to be used along with the program. The types of training techniques utilized during the FD phase are very brutal on both the muscles and CNS, which is why the FS stage of the workout is a necessary component. Since there will be a tremendous amount of blood traveling to the muscles during FS, we can take further advantage of this by overloading the system with certain nutrients before, during, and right after training. The period starting from right before the workout to immediately after is your greatest opportunity nutritionally to hasten the muscle building process! Now that I have verbally bombarded you with “what’s” and “why’s” of FD/FS, lets take a look at what a typical day of training might have in store with a sample chest workout for both intermediate and advanced trainees (beginners have no place dabbling in such advanced training methods just yet). *Rest between sets on first three movements should be about 2-3 minutes. Rest between sets of last three movements should be no more than 1-2 minutes. *Rest between sets on first three movements should be about 2-3 minutes. Rest between sets of high rep movement should be no more than 1-2 minutes. Rest between exercises during superset should be no more than 15 seconds. **When performing an eccentric only set you must have one to two spotters available to lift the weight back into the start position. Remember, most trainees are 30-40% stronger when lifting eccentrically than concentrically. As I discussed, the nutritional aspect of this program is almost as important as the workouts themselves. In fact, I would say that FD/FS training is about 30-40% more effective for muscle hypertrophy when the following protocol is utilized. It was not until I began using this exact approach that my gains began to skyrocket, allowing me to add about 8 lbs over a 3-week period of FD/FS! *Other ingredients can be used as well at all three times, such as ATP, citrulline, arginine, ALA, etc, but the above is more than enough to feed your muscles what they need. Because of the extremely demanding nature of FD/FS training I highly recommend that it only be utilized during periods of the year when gaining muscle mass is the primary goal. You need to be well fed and well rested to fully reap the rewards of this program. 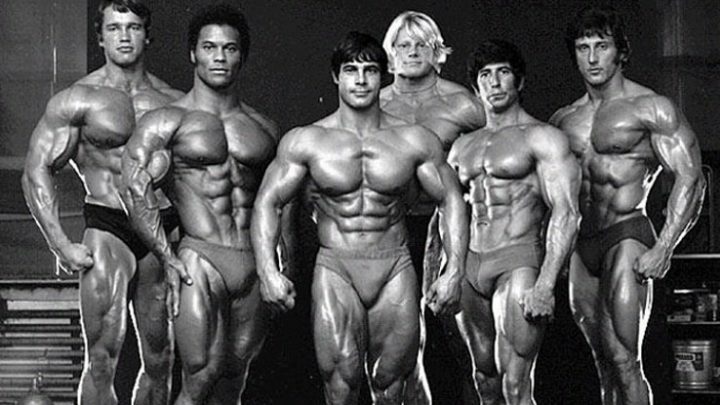 With the exception of the most advanced bodybuilders, and/or those that do not train drug-free, I do not feel that FD/FS should be used during a cutting phase. Further, FD/FS was not created for continual use, and should be cycled in and out of your regular training regimen, whether it be Power/Rep Range/Shock, DC, HIT, or any other method. It should only be used for 2-3 weeks periods or both physical and/or mental burnout can occur. Consider FD/FS as a “short burst” mega-mass gaining strategy! Oh shoot, look what time it is, I gotta go! It’s time for me to go see my psychotherapist. You see, he is a client of mine and I had him try an FD/FS workout. He is now convinced that I am completely out of my mind, and desperately need help! But I don’t think I need a therapist…only a tailor!! 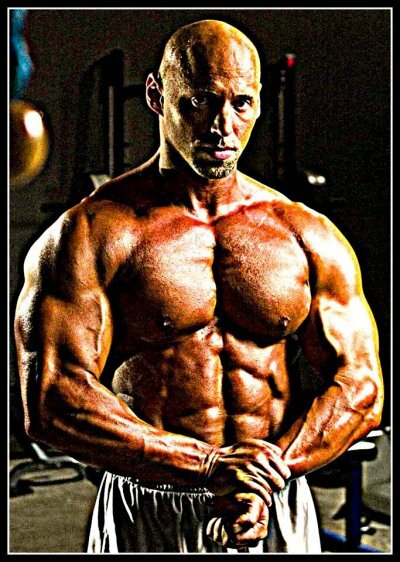 Eric Broser is a NGA Judge and Professional Bodybuilder, Iron Man Magazine Monthly Columnist and aMuscular Development Magazine Monthly Columnist, Goliath Labs Athlete www.goliathlabs.com,Co-Author of Building the Perfect Beast…Naturally Online Training-Nutritional Consulting-Contest Prep Coaching, Author of P/RR/S Training Systems www.prrstraining.com. 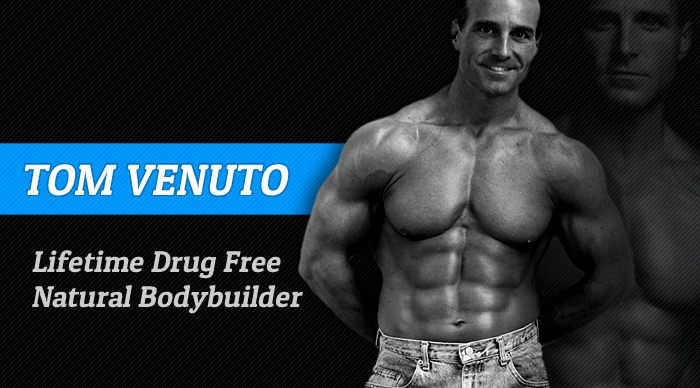 Eric is available for online training, dietary consulting, and contest preparation coaching. Please visit www.prrstraining.com for more information.